Each business in Philadelphia, PA is different, but no matter what product or service you provide, Arwood Waste can make operations easier and stress free by providing custom designed waste removal services that put all the hassle in our hands. Our trash dumpster rental services are second to none. Arwood Waste has plans for restaurants, construction, retail stores and chains, property managers, manufacturers, healthcare providers, the hospitality industry and multi-location businesses. 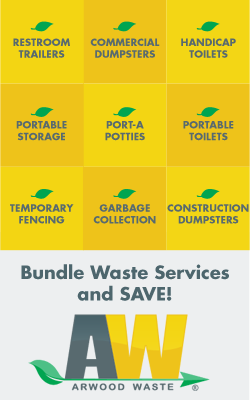 We’ve got rental dumpster bins that are economical and convenient for every business. Feel free to call anytime 267-519-1870. For all your commercial dumpster needs, call the experts at the Arwood Waste Philadelphia, PA Division at 267-519-1870 or email [email protected] today.